Alex, Seth and Melbourne playwright Gabriel Bergmoser ("Springsteen," "We Can Work It Out") discuss "Ain't Got You" from 1987's Tunnel of Love! 30. Does This Bus Stop at 82nd Street? Alex and Seth discuss "Because the Night," a Darkness on the Edge of Town outtake from 2010's The Promise! 31. Does This Bus Stop at 82nd Street? We'll Be Back in July! In the meantime, listen to some old episodes you haven't heard before. You know, the ones about Ghost of Tom Joad songs. 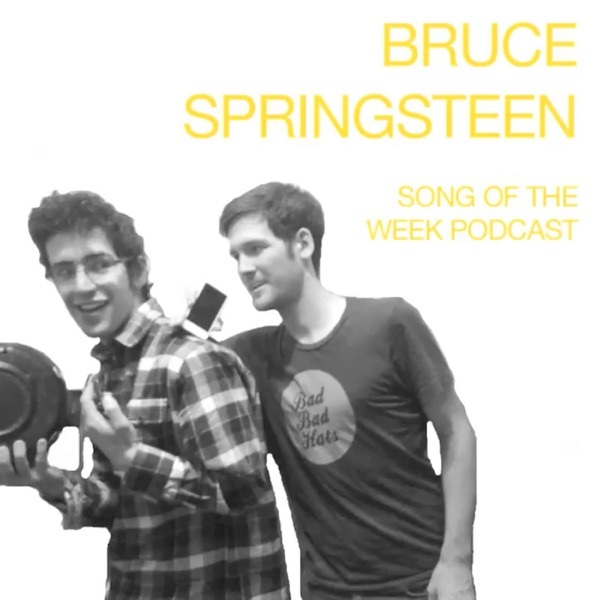 Alex and Seth discuss "Lonely Night in the Park," an outtake from 1975's Born to Run! Alex and Seth discuss "Spanish Eyes" from 2010's The Promise! Alex and Seth discuss "Johnny 99" from 1982's Nebraska! Alex and Seth discuss "Bring on the Night," a River outtake from 1998's Tracks! 29. Does This Bus Stop at 82nd Street? Alex and Seth discuss "Crazy Rocker," an outtake from 1978's Darkness on the Edge of Town! Alex and Seth discuss "Down in the Hole" from 2014's High Hopes! Alex, Seth and Alex's sports photographer uncle Andy discuss "Don't Back Down," an outtake from 1984's Born in the U.S.A.! Alex, Seth and Semisonic drummer Jacob Slichter discuss "Rosalita (Come Out Tonight)" from 1973's The Wild, The Innocent & The E Street Shuffle! Alex and Seth discuss "Leap of Faith" from 1992's Lucky Town! 4. Born in the U.S.A.
28. Does This Bus Stop at 82nd Street? Episode 106 - Does This Bus Stop at 82nd Street? Alex and Seth discuss "Does This Bus Stop at 82nd Street?" from 1973's Greetings from Asbury Park, N.J.! Alex and Seth discuss "57 Channels (And Nothin' On) from 1992's Human Touch! Alex and Seth discuss "TV Movie," a Born in the U.S.A. outtake from 1998's Tracks! Alex and Seth discuss "Goin' Cali," a Human Touch outtake from 1998's Tracks! Alex and Seth discuss "Surprise, Surprise" from 2009's Working on a Dream! Alex and Seth discuss "Fade Away" from 1980's The River! Alex and Seth discuss "Little White Lies," an outtake from 1980's The River, all the while bar hopping around Denver's South Broadway! Alex and Seth discuss "You'll Be Comin' Down" from 2007's Magic!